What do we do when an iconic, character-defining feature of a National Historic Landmark is lost? 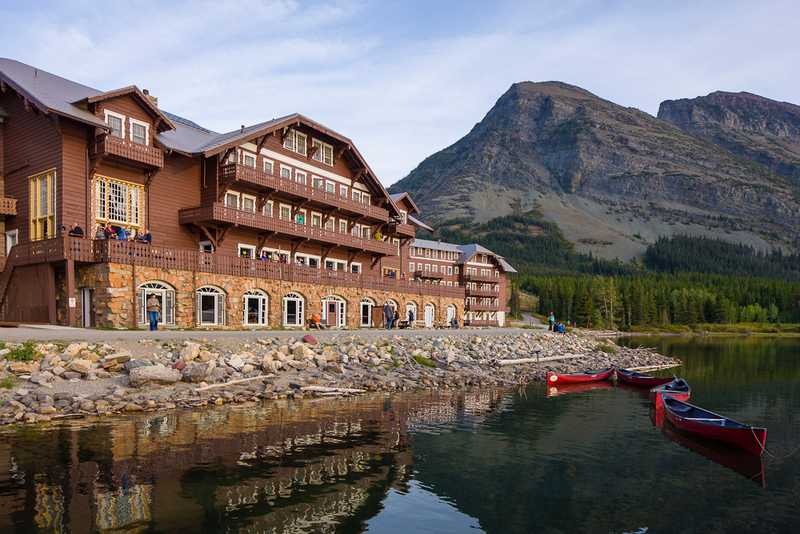 Our firm asked this question at the outset of our design work for the rehabilitation of Many Glacier Hotel in Glacier National Park. 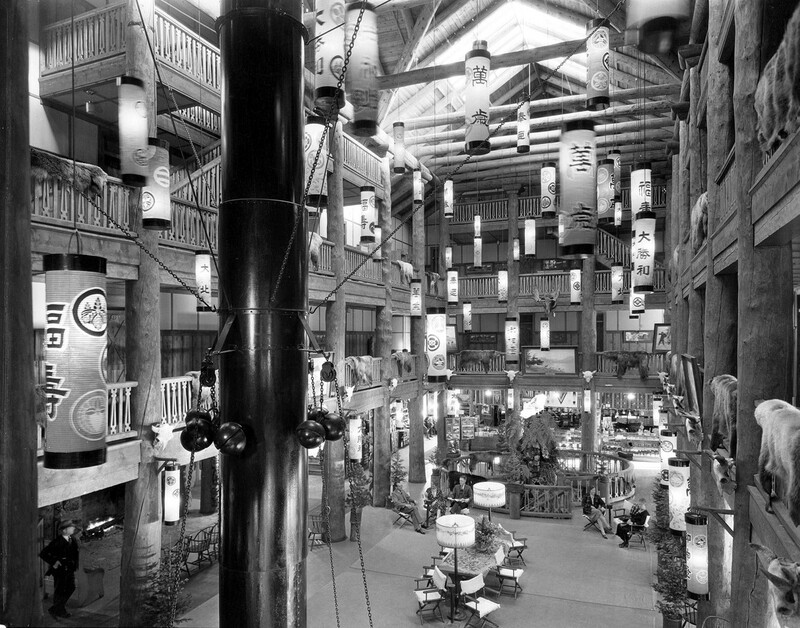 Built in 1916, the hotel originally featured a unique “double-helical” staircase in the center of its five-story atrium space. 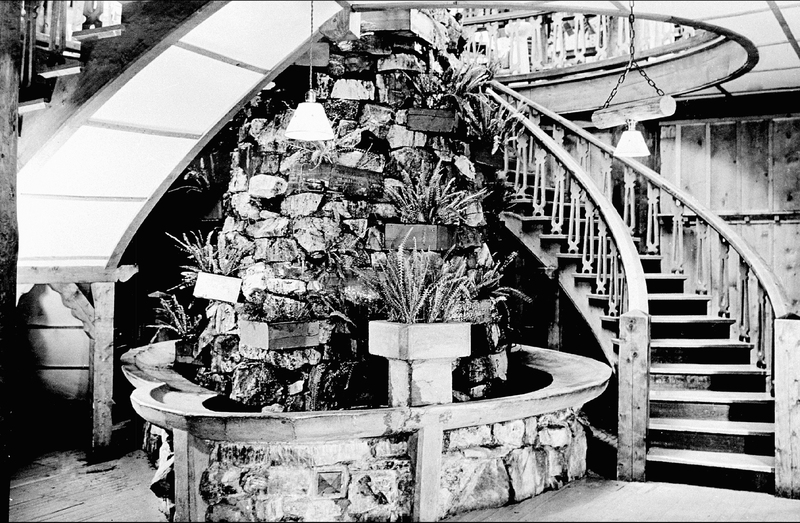 By the mid-1950s, the stair was gone. Legend has it that it was removed to make way for an expanded gift shop, dragged out onto the ice of Swiftcurrent Lake, and left to sink—though no scuba diving has ever corroborated this story. Fast forward 50 years, and many visitors, donors, local preservationists, and friends of this “Great Lodge” of the National Park Service (NPS) wanted to see this iconic feature brought back. 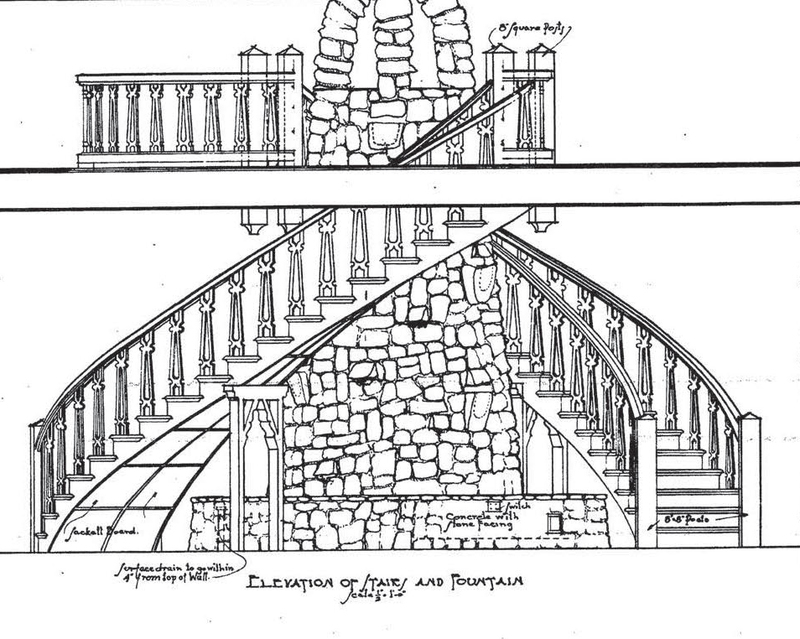 Funding was scarce, and questions persisted about the reconstruction of the stair. An estate donation helped build momentum, and the idea of recreating this lost feature gained traction. Several distinctions of the new design identify it as contemporary, but it is nonetheless compatible with the historic character of the lobby. For example, in bringing the stair up to code, its overall footprint was slightly enlarged because each stair tread (horizontal stepping surface) needed to be both wider and deeper—10" minimum at the inside curve of the stair tread. Similarly, the height of each step could not exceed 7" (the original steps were 8" high), which required a longer “run” of the stair. And finally, to maintain the stair’s graceful profile while spanning a long distance, the team designed curved steel members to support the stair and trimmed them in wood. 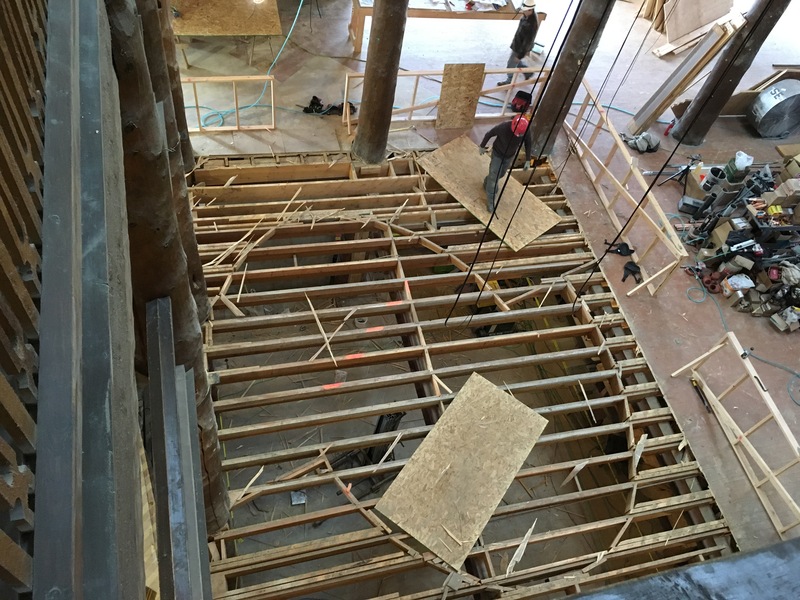 Midway through construction, removing the flooring where the original helical stair had once stood confirmed that we were on the right track. The original double helical shape was revealed. The height of the guardrail surrounding the stairwell presented another challenge to meeting modern code. Guardrails must now stand 42" tall, whereas the original was only 32" high. Using the original baluster design as a template, we added a bottom and top trim rail to achieve the required heights while minimizing the feel of the taller guardrail. The finish on the surface of the steps was also important to consider. After much debate regarding the original wood treads, we decided that a stair runner was the best option to dampen the visitors’ footfalls while providing a slip-resistant surface. 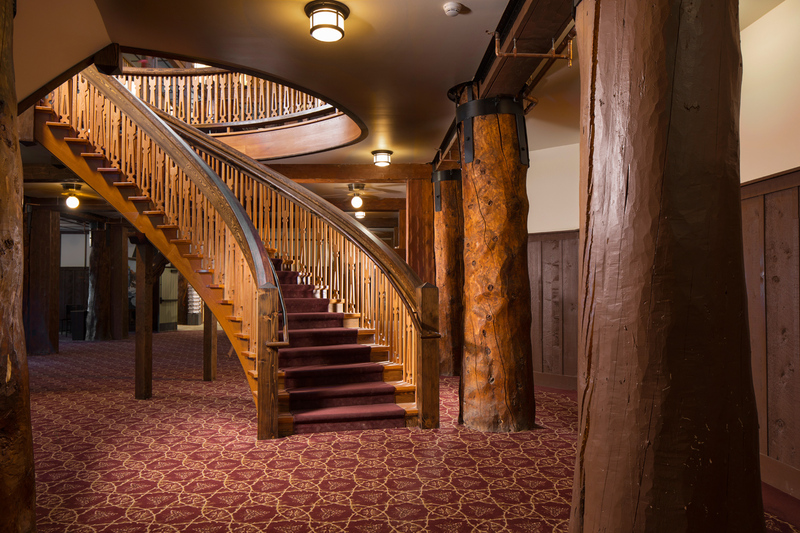 Ultimately, the stair’s re-introduction was made possible thanks to partnerships with the NPS and the Glacier National Park Conservancy, a private donation from the Pendleton Woolen Mills, and the talented craftspeople at Northwest Cabinet Works. 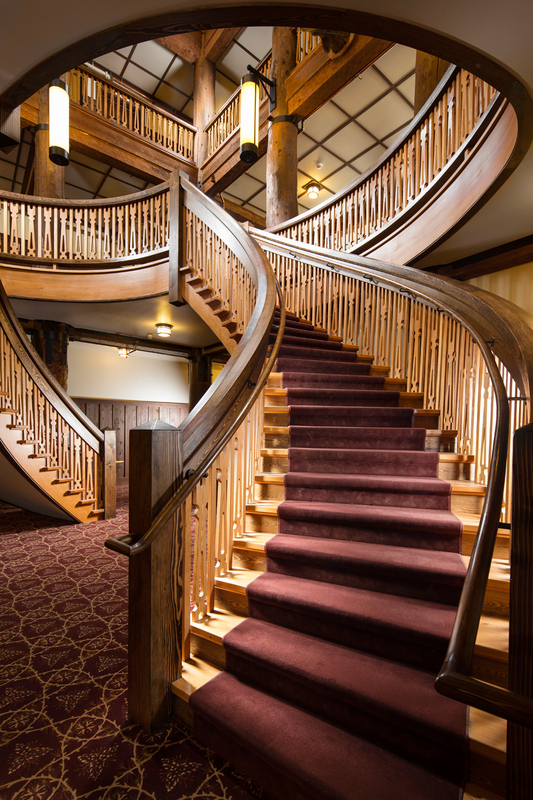 The re-created helical stair provides a beautiful—yet safe—visitor experience, elegantly striking a balance between the contemporary and the historic in the breathtaking building. Elizabeth Hallas, AIA, is a principal with Anderson Hallas Architects, PC of Colorado—a firm specializing in the preservation and adaptive reuse of legacy buildings across the west. 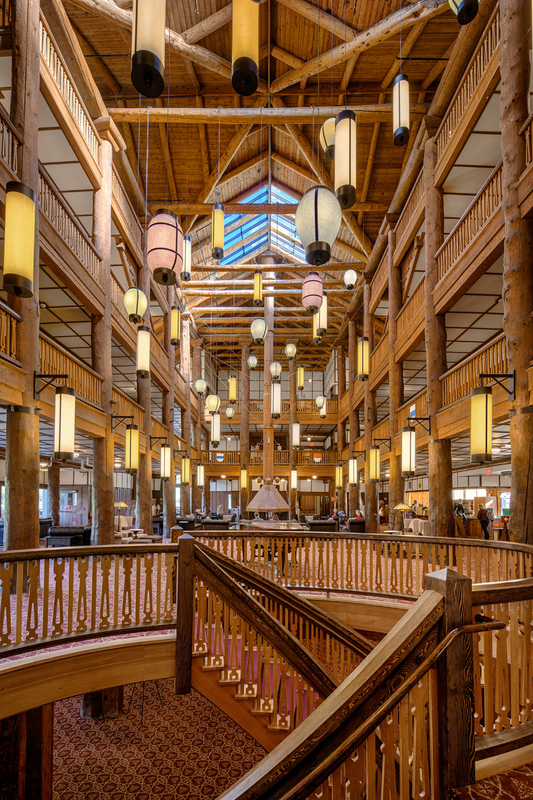 Hallas spent 14 years working on the phased rehabilitation of Many Glacier Hotel.